Toast and coffee around 6:46AM. An apple with peanut butter just after 10. And cupcakes... well, we'll welcome 'em any time of the day, but those little tasty towers of cream-filling, sugary bits, and thick frostings are ideal just after work, especially on a Friday, when you've had enough of the week. Enough. 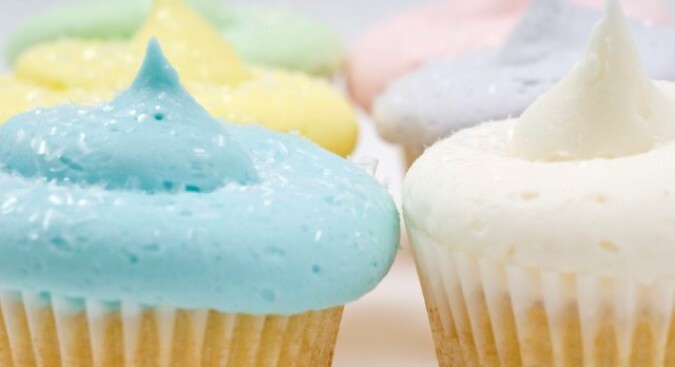 Yummy Cupcakes, the Santa Monica- and Burbank-based cupcakery, is staying open later starting on Friday, June 12th, which is soothing to our mid-afternoon daydreams of what we shall be eating in the evening. The times vary by location, but you can eye the whole list here. The only very important matter now is the type of treatage we're hankering for. The weekday vegan selection is choice, but we might have to go for the Old School cupcake -- it's the rope-y, frosting-ish flourish on top that wins us over every time. Or the cupcake truffles. Or the Fluffernutter. Oh, or Pancakes and Bacon. In a cupcake? Yes to all that.